Once again, a memoir has been debunked and proven to be a work of fiction. 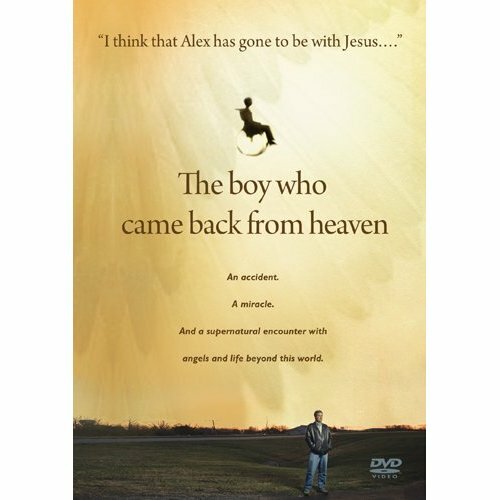 The average sceptic thought that THE BOY WHO CAME BACK FROM HEAVEN was completely made up, but among the believers, the book was considered a true and authentic bit of non-fiction. Who would doubt the word of a six-year-old boy, right? He said he died and went to heaven. Why would he lie about such a thing? What? He didn't go at all? Who'd have guessed the story wasn't real? Alex Malarkey was in an auto accident when he was six, a collision that left him in a coma. He claimed, or his father claimed for him, that he had an out-of-body experience and sailed up into heaven. It was grand up there with the seraphim and cherubim, especially if you're a fan of the harp. Choirs of angels singing away, and there was little Alex at the Pearly Gates. Ah sure it was all a fantasy, Alex is saying today. Which leads to the question, how did it get written in the first place? And who sent it off to Tyndale House to be published? The average ten-year-old is not clever enough to prepare a submission, and a ten-year-old is definitely not legally mature enough to sign a contract. A boy partially paralyzed is not penning his memoirs by himself, either. Another memoir gets shredded into a million little pieces as the author comes clean. Tyndale House has pulled the book from its catalogue, but have not yet offered to refund the purchase price for those who feel they have been scammed. It's all quite sordid, this particular outing of a false memoir, because it involves a child being used. According to Alex's mother, who is divorced from his co-author father, the boy has made nothing from sales of the best-seller. So who did profit from the lie? For the past couple of years, Mrs. Malarkey has been trying to get Lifeway Christian Store to stop promoting the book, so it would appear that she was aware of the lack of realism in the so-called memoir for some time. No one listened to her tiny voice, but when your chain of shops is selling something popular, it would take a strong dose of Christian morality to stop doing the unethical. Another memoir debunked. Another load of malarkey foisted on the gullible public who want an answer to the greatest unanswered question we will all face. What happens after we die? No one's come back from heaven to tell us, have they?